In 2015 I passed both the VCAP5-DCA and DCD, paving the way for me to begin my journey to the VCDX. The VCDX is seen as the pinnacle in VMware certification. It allows experienced virtualisation professionals to demonstrate their expertise in one of four tracks – Datacenter Virtualisation, Cloud, Desktop and Network Virtualisation. The journey will be long and arduous, and success is far from certain. But I consider the ability to study for it and to submit a design for defence to be an achievement in itself, and the next step in my own career. This is by far my biggest priority for the coming twelve months. I’m a firm believer in automation – if I have to do something more than three times then I script it wherever possible. This might be something as simple as a For loop, or a 400-line PowerShell script to configure a vCenter from scratch. Scripting is an absolute must-have in any successful engineer/architect’s toolbox. Whether it’s to access additional functionality within the product or reduce the amount of time to complete a task, mastering a scripting language is imperative if you wish to be considered an expert in your chosen field. Whilst I consider myself to be quite proficient at PowerShell, I know I have a lot more to learn. I also think Perl would be a useful skill to learn given my penchant for multiple platforms (Linux, OS X, NetBSD). So I will concentrate on these two. Over the last few years I’ve attended quite a few VMware User Groups in the UK, and each one has been brilliant. 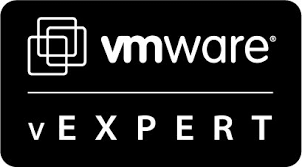 The VMUGs are a fantastic opportunity to meet up with follow professionals and virtualisation enthusiasts, as well as learn about new technologies. Last year’s highlights for me were Joe Baguley‘s talk on Containers, Microservices, Turtles, Chickens, Cowboys, Beards and Other Animals, and Duncan Epping‘s many talks on future enhancements to VSAN. The real key to the success of the VMUGs is user content – the real-World experiences of admins and architects across the land that can be shared with others. Without this, these events are doomed to be a vendor showcase (without the hard sell). To that end I would like to take the opportunity to speak at one and share some of the absolute horror stories great experiences I have endured had over the years. This is something I should have learned in college. Enough said. Progression and self-improvement is always a worthwhile endeavour, but to share that knowledge is sometimes just as important. A number of my colleagues are keen to learn and progress, and if I can help in any way then everyone benefits. My colleagues as they progress, and the company as a whole as we acquire new skills which in turn can drive business growth. Mentoring can be an enriching experience, as my own leadership and communication skills can improve along the way. Like Scott, there are a number of things I’ve deliberately left off as I don’t see them as a priority. For example I consider a PRINCE2 qualification would be a healthy addition to my CV, but compared to the VCDX is just simply isn’t something I can plan for. Likewise I have a number of “home lab” projects which are becoming increasingly more pressing, such as upgrading my entire NetBSD environment from 5.2.2 to the recently released version 7.0. However this is far from an easy task and not one that can be completed quickly. Due to the architecture I’m running it on every package will need to be recompiled and than in itself will take months. I feel that setting myself five goals is both realistic and achievable, but it will take both hard work and dedication to see each one through to success.